Home / Search Engine Optimization / Are You Optimized for Voice Search? You Should Be! Are You Optimized for Voice Search? You Should Be! Most businesses today depend on search-driven web traffic to succeed. Taking their cues from changing technology and shifts in consumer behavior in recent years, astute companies have begun to adapt their SEO strategies to leverage voice search technology. As more consumers use their smartphones, tablets, and voice assistants to acquire information and make purchases through voices search, companies who choose to rely solely on mobile SEO risk obsolescence in a rapidly evolving e-commerce landscape. In recent years, a growing number of consumers have begun to rely on personal digital assistants capable of registering verbal commands to make online inquiries. In fact, analysts report that as of 2016, over 40% of adults in the United States performed daily voice-based searches, and instances of voice-searching increased by a multiple of 35 between 2008 and 2016. In 2017, Google announced that 20% of the search requests it fields are voice searches, and observers estimate that by 2020 at least half of all internet searches will be voice-based. 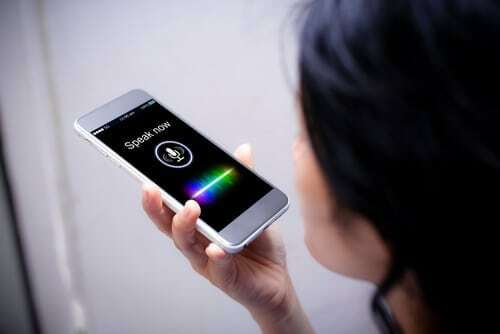 Commentators agree that the availability and diverse application of voice-first devices, as well as the convenience and efficiency of voice search technology, primarily explain the rise in its popularity. As of 2017, an estimated 33 million voice-first devices were in circulation in the United States. This number reflects a sharp rise in the prevalence of smart speakers like Google Home devices, Amazon Echo, and Siri, which operate almost exclusively on voice command and normalize the concept for their users. Expect this trend to continue as the sophistication of voice-recognition systems evolve and retailers adopt the technology. Believe it or not, some recognition software now boasts accuracy ratings as high as 95%, which rivals the accuracy rate of human auditory perception. Moreover, in an effort to enhance profits from the growing online shopping trend, large corporate retailers have begun to partner with technology companies to enable voice command purchasing on their digital interfaces. Voice-first assistants respond to the unique speech patterns of their users by processing natural language commands and providing search results in response to queries based on learning a user’s preferences over time. Therefore, in a world where virtual assistants stand between businesses and consumers, businesses can no longer succeed with an SEO strategy that fails to address voice search. Instead, SEO strategies must adapt to vie for search recognition by the virtual gatekeepers of their target markets. In addition, the nature of voice search differs from the keyword searches that have defined internet information mining since the 1990s. Firstly, voice search follows a conversational pattern, and search prompts tend be longer and less formal than traditional keyword queries. Moreover, because voice search technology caters to on-the-go users, the searches are usually conducted on mobile devices and focused on information relevant to the user’s locale. Thus, to benefit the user, content gathered in response to a voice search must be easily accessed on a mobile device, relevant, and brief. Here are the seven key techniques you can deploy to ensure your business remains visible in the results of searches conducted by virtual intermediaries. Improve Your Local Search Rankings. Nearly half of all voice searches focus on business information. Make sure your business appears in these searches by claiming and optimizing your Google My Business Page. Use this resource to instantly supply potential customers with all the critical information they need about your business, including location, contact information, hours of operation, online reviews, and any special sales or promotions you have on offer. Because voice searches are more casual and dialogue-based than traditional keyword searches, an effective keyword strategy for these searches must mimic a real-life conversation. To develop content that reflects live interaction, try to adapt the type of questions that customers pose about your business over the phone. Keep track of the specific questions and words used by customers in their interactions with your sales staff or customer service department, and use them to create longer, conversational search terms (known as “long-tail+ conversational keyword phrases”) that you can build into your company’s web pages. You can also look to Google’s Search Console reports for a list of the actual search terms that directed users to your site. Although these terms may not have been used in a voice search, they can provide an additional set of words you can use to develop long-tail+ conversational keyword phrases. Build Conversational Keywords into Your FAQ Pages. Increase the frequency with which your company appears in voice search results and the chances your site will appear in a Google ‘Featured Snippet’ by using long-tail+ conversational keyword phrases to respond to questions you commonly receive from customers. Frame the questions in the natural language used by customers, and group related questions on the same page. To maximize your presence in voice search results, include detailed and specific customer inquiries and provide brief and clear responses to each one. Your website’s search performance results in part from how well it can be crawled by Googlebot. If your site appears in Google search results less frequently than it used to, or has fallen out of the results altogether, then visit the Google Search Console to identify and fix any potential problems. In particular, make sure the Google index includes your site (especially if it’s new) and alert Google to your most important web pages by providing them a sitemap. Optimize Your Website for Mobile Applications. Voice searches are conducted almost universally on mobile devices, which increases the likelihood that searchers will navigate away from your site if it does not provide a quick and easy user experience. Google provides a Mobile-Friendly Test and PageSpeed Insights Tool for businesses that desire feedback on the mobile user experience of their sites. Simply enter your company’s URL to learn how to modify your site to enhance your voice search optimization and protect your PageRank. Ensure that voice search users can read your content on their mobile devices by keeping it succinct and accessible. Avoid long articles, which are difficult to read on a small screen. Instead, include summaries at the top of each page to present readers with the key material it contains, and use informative headers to help readers quickly locate the information they require. Use simple sentence structure and short paragraphs, and incorporate visual illustrations where possible. Keep Up on Developments in Voice Search Optimization. Although voice search data is not presently included in Search Console reports, Google has signaled in the past that it may begin to report voice search and keyboard search queries separately, much like how desktop and mobile search data are tracked. The availability of this data would streamline a company’s ability to identify the voice search queries driving traffic to its site and adapt its content accordingly. To this point, the long-tail+ conversational keywords used in voice search occur in such low volumes that Google excludes them from the Search Console. Google has yet to reveal how it will address this problem, but watch for developments in this area. Do you want to learn more about how Voice Search can fit into your SEO Strategy? Check out our SEO Services and contact us today!